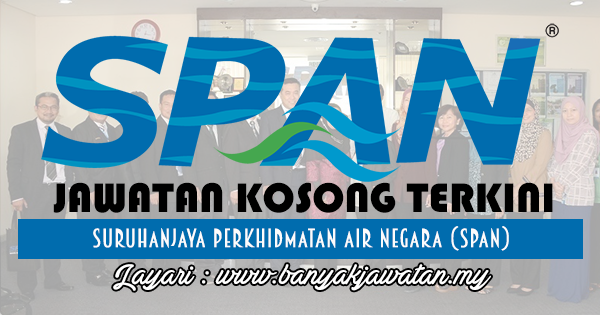 The Suruhanjaya Perkhidmatan Air Negara (SPAN) or the National Water Services Commission is the national regulatory body for the water and sewerage industry for the Peninsular Malaysia and Wilayah Persekutuan Labuan. The Commission operates under a legislative framework defined in the Suruhanjaya Perkhidmatan Air Negara Act 2006 (Act 654) and the Water Services Industry Act 2006 (Act 655). 2 Responses to "Jawatan Kosong di Suruhanjaya Perkhidmatan Air Negara (SPAN) - 24 November 2017"